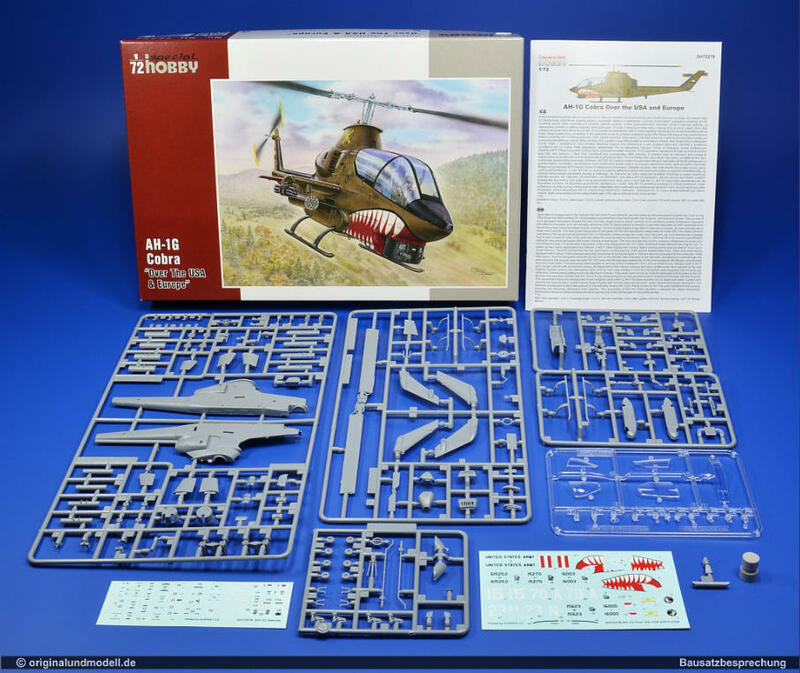 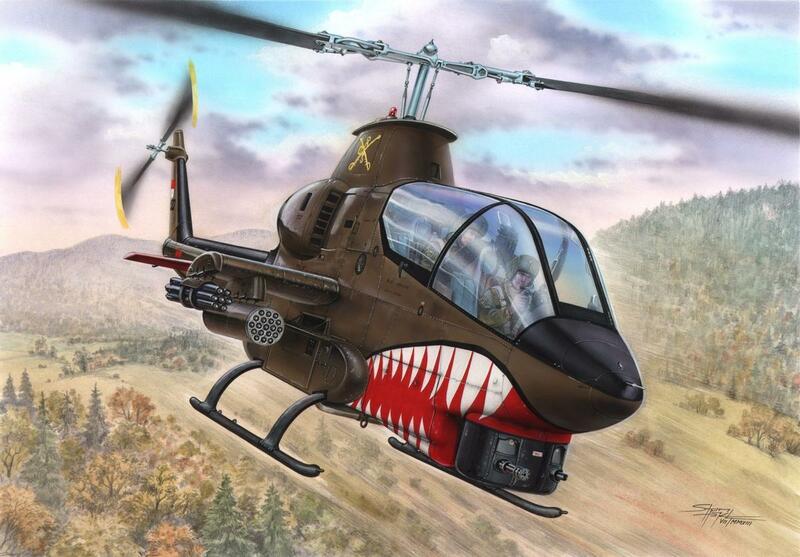 AH-1G Cobra "Over USA and Europe"
There are the same frames as in model SH72274, but it contains also a resin dummy turret for a training Cobra. 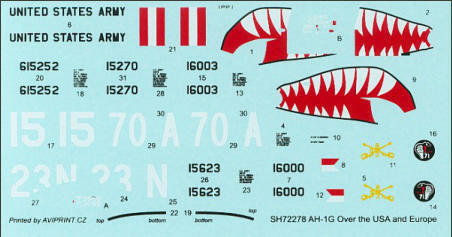 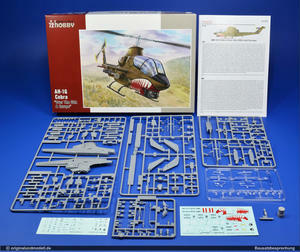 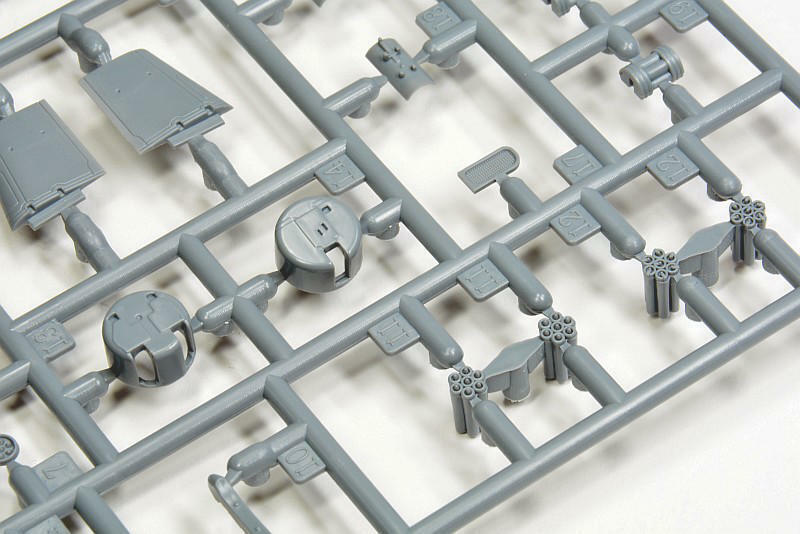 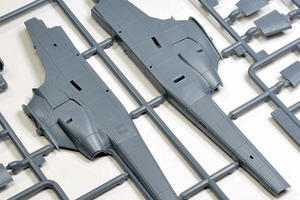 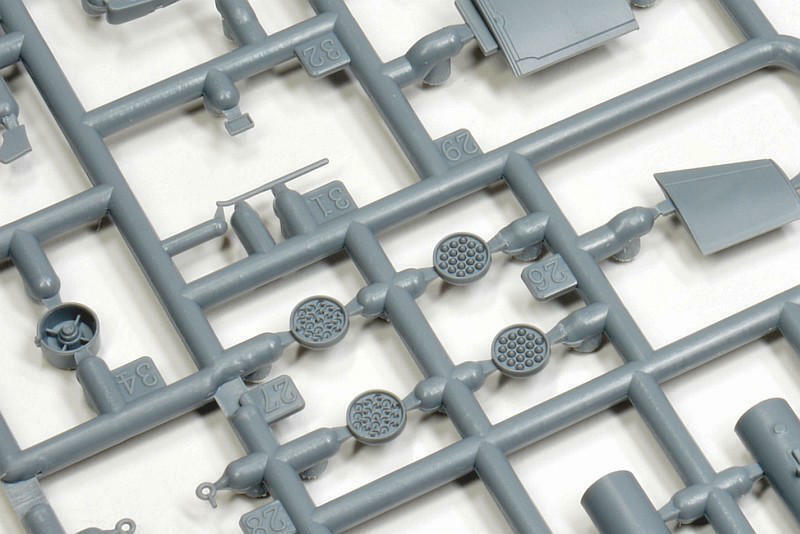 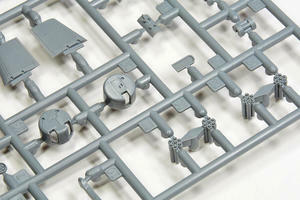 The decal sheet enables modellers to choose one of five US machines in six different markings (one Cobra is depicted in two different stages of its service-life). The machines we have put to the instructions saw action over the US or Europe during the height of the Cold War. There are rather attractive markings, not only the box-top machine with a shark mouth, but also a cobra-head emblem adorned Cobra, two different training machines whose fuselage wore colourful red-orange markings and a machine that was used for various weapons tests. 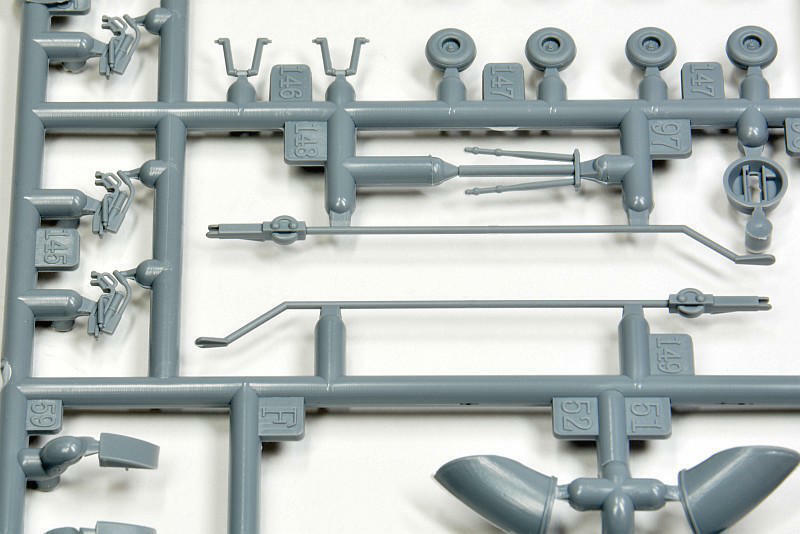 The instructions are in our new full-colour standard.